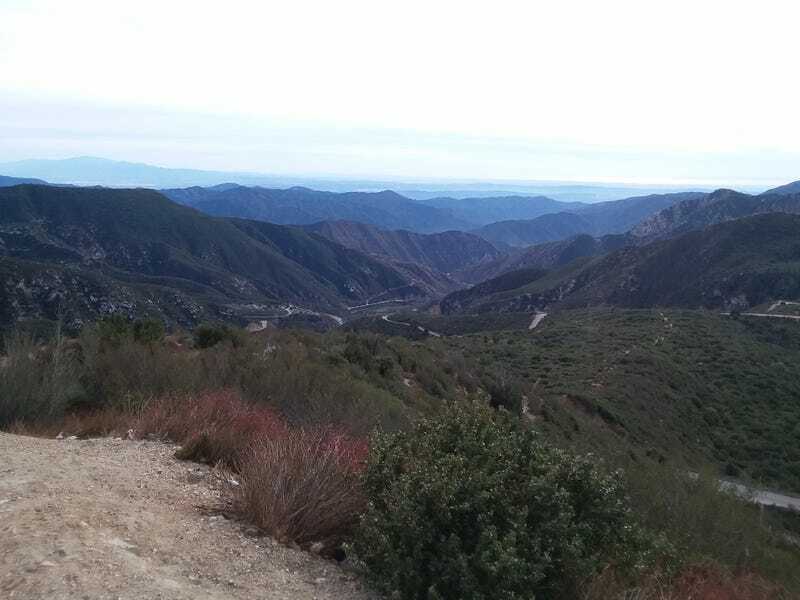 Today I intended on driving East to check out Glendora Mountain Road. Since it isn’t currently on fire, like some of the other canyons I wanted to go drive, I figured it was a good bet. However, once I arrived there was a big gate in the way indicating the road was closed for the day. A couple of locals nearby told me it had been closed since Thursday, likely for fire prevention. Go figure, I probably could have found this on a Cal Trans website but no biggie, other roads to try! Right nearby was California HWY 39 which runs North into the San Gabriel mountains to basically nowhere. It at some point in history went all the way up to Angeles Crest Highway (HWY 2) but it became to expensive to maintain the last bit due to constant mudslides/rockslides ruining the road. So it’s a road with no destination other than fun! Of course there’s other outdoor stuff up there so you still get stuck behind looky loos that don’t use the pulloffs and bicycles riding side by side taking up the whole road. But it was totally worth it! Some real nice twisties near the top and I finally wasn’t stuck behind anyone. Some higher speed sweepers too but it’s all fun in some way. I took the Miata today so I intended on running the much more technical and tight GMR but this road was fine enough for me! It was a bit of a trek out there but at least I took surface streets up to the 118 out to the 210 and avoided the traffic nightmare of the 101/134. Stupid me went the shorter way home though and sat in that mess. Note to self, always take the 118/210 route instead, even if Google maps says it’s longer.